Statement Piece Jewelry as One-of-a-Kind as each Wearer. 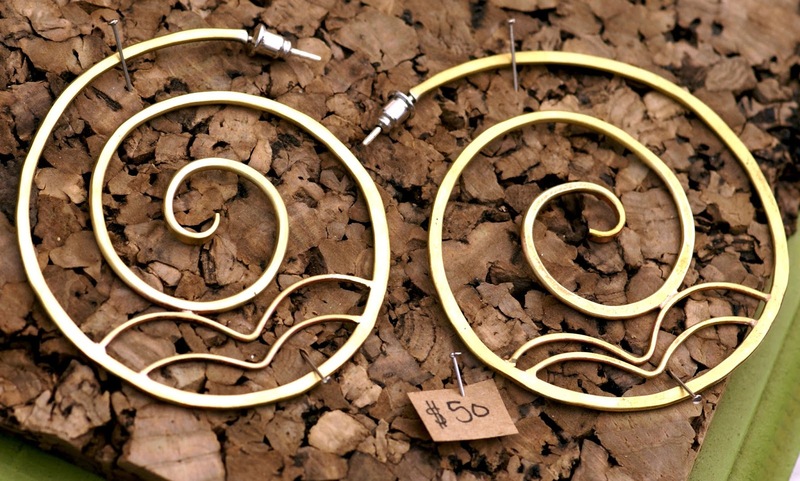 Raw Metals Skillfully Worked into Intricate & Inspired Art. Take a minute to consider why we wear jewelry. Perhaps it's a piece that holds special meaning or it communicates an important aspect of our personality or maybe it just makes us feel a certain way. Clothes and accessories are meant for expression after all. You are one-of-a-kind, and what you wear should be too, at least, that's how jewelry artist Elizabeth Boswell feels. 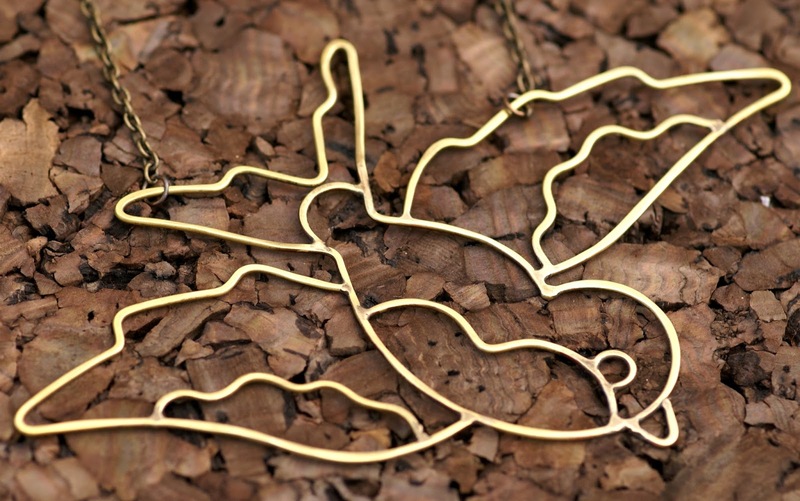 Every piece of wearable art she creates is designed to make a statement! 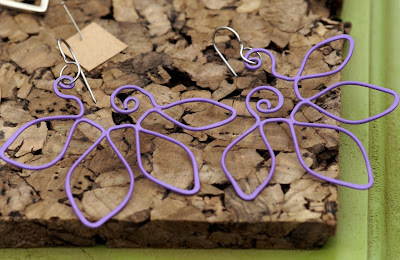 Starting with raw materials, she hand works every pendant and earring with great care and attention to detail. She is a lover of the processes required for taking metal from its original state and developing it to get the shapes and finishes she desires. 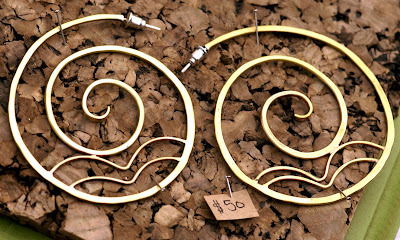 She has several characteristic styles she's been exploring as a jewelry artist. 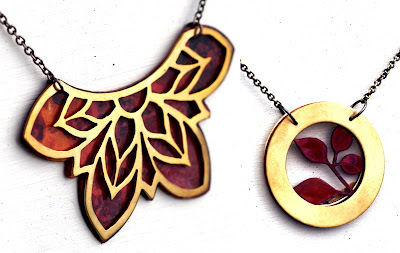 One series of pieces she has beautifully mastered involves combining several metals to give layers of color and depth, often in geometric or symbolic designs. 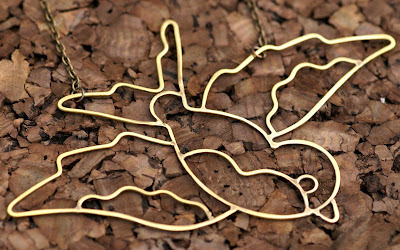 She also has a series of vintage tattoo inspired pieces made primarily of bent wire for bold outlines of birds, nature and more. As a fan of Upcycling as well, she has been known to take ties that have passed their prime and turn them into jewelry, capturing the most fun parts of their patterns for an artsy throwback. 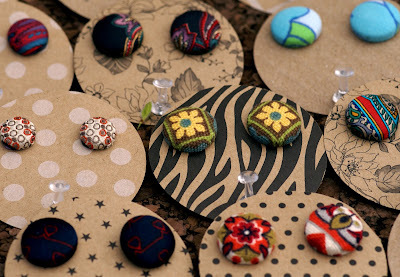 With such a diverse range of styles like these, how could her work not be beautiful and eye catching?! I am definitely a fan of the statements her pieces are making!